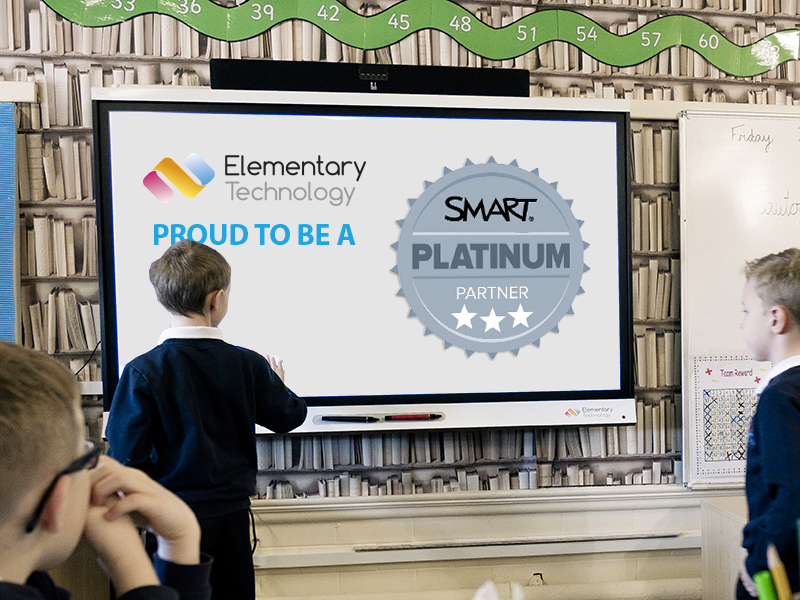 Our parent company Elementary Technology are now recognised as an official SMART Platinum Partner and a SMART Software Solutions Partner. The most important part of this is how it improves the service which we deliver to our customers. As well as this recognition by SMART, Elementary Technology use the SMART Boards in the Customer Experience Centre on a daily basis – they know Smart Learning Suite software like the back of their hands. So don’t cut corners! Ensure you work with a trusted, knowledgeable, supportive SMART Platinum Partner. For trouble-shooting, a quotation, a demonstration, advice, training or anything else SMART-related, please do not hesitate to contact Elementary Technology’s team of SMART Platinum Partners.